Got a wedding coming up? We know you must be stressed with all the planning and prepping! 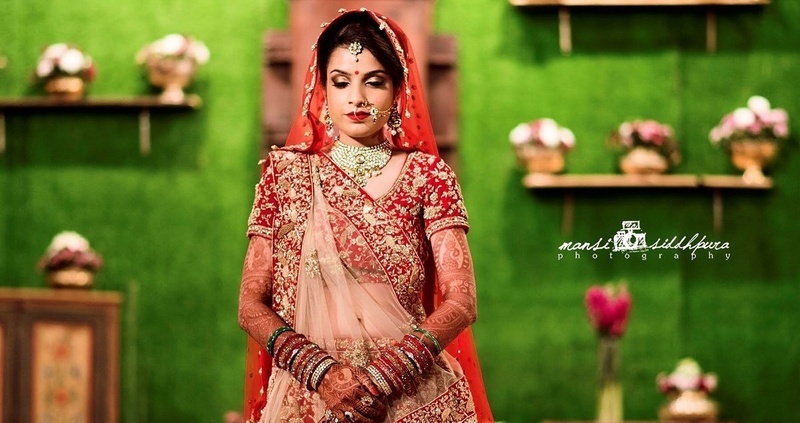 While selecting the perfect lehenga and the most delicious cuisines are important, your wedding photographer is just as important (if not more, because how else will the world look at your Big Fat Indian Wedding?!). Plus, ten years later, you want to look at beautiful memories of your wedding day. Well, we’ve done the job for you and found Mansi Siddhpura, a talented Indian wedding photographer who can shoot your big day perfectly. Mansi Siddhpura Photography, Mumbai is the perfect option for you if you want to freeze the moments of your big fat Indian wedding in a unique manner. The colors, rituals, love and laughter are all made immortal in beautiful ways through the professional quality lenses used by the crew of Mansi Siddhpura Photography. They strive hard to turn your wedding day into an event that is sure to be cherished forever by you and your family. This freelance wedding photographer will make sure that you can save your bridal memoirs in the most stunning ways. She’s just a call away! Click here for details and bookings.